Movies often depict characters doing extraordinary things to their cars. Of course, what is rarely shown is the work that is required for these modifications, the price they cost, or how they are covered through the character’s car insurance policy. Come with us as we take a look at an iconic piece of movie car modification and discover how custom parts and equipment car insurance coverage could possibly provide protection for it. Don’t worry, where we are going we don’t need roads. In November of 1955, Dr. Emmett “Doc” Brown, while unadvisedly standing on his toilet to hang a clock, slipped and badly hit his head. While most would consider this an unfortunate accident, to Doc it was perhaps the greatest accident of his life. After all, it was this accident that brought about his initial vision of the flux capacitor – the thing that makes time travel possible. Doc Brown would go on to successfully install his flux capacitor in a DeLorean DMC-12 allowing him to travel into the past, and back to the future. To Doc, the flux capacitor is probably priceless, but the fact of the matter is it probably did cost a lot of money to build and install this contraption, and it would only be logical to have it covered on his car insurance policy. The question is, how do you insure a flux capacitor? Clearly the DeLorean DMC-12 does not come standard with a flux capacitor. It is a custom installation. To insure the flux capacitor, we must look at the type of auto insurance coverage that is responsible for custom parts and modifications: custom parts and equipment coverage. Most car insurance companies offer custom parts and equipment coverage, which provides protection for the custom parts you use to modify your car for performance and aesthetic purposes. This car insurance coverage will help pay for repair or replacement of your parts if they are damaged or stolen from your vehicle. Electrical equipment, such as stereos and televisions. Custom parts and equipment coverage is not limited to the above items. It is a good idea to talk with your car insurance agent to get a better idea of what is covered under your policy. While Doc Brown’s flux capacitor doesn’t fall directly into any of the above categories, it most certainly does modify the performance of the DeLorean, and Doc Brown would be right to want to purchase this coverage for his prized custom car. Fortunately for Doc, custom parts and equipment coverage is widely available through most car insurance companies. He can even have it factored into his car insurance quotes as he is shopping for the right car insurance policy. Some states and car insurance companies would require Doc Brown to have comprehensive and collision auto insurance coverages before he would be allowed to purchase custom parts and equipment coverage. 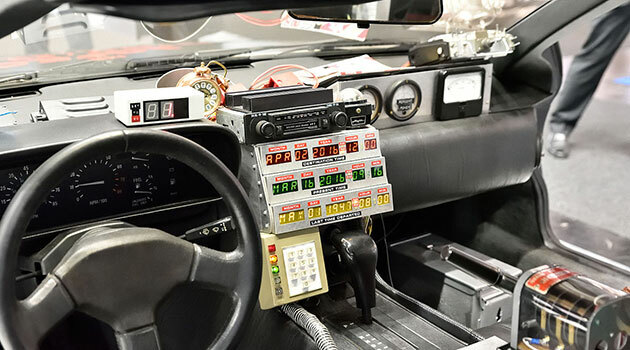 If you have custom parts in your car like Doc Brown does, keep in mind that comprehensive and collision do not typically cover custom parts, so it is a good idea to protect your modifications with custom parts coverage. All of his receipts to help verify the cost of the flux capacitor. Several pictures of the flux capacitor fully installed in the DeLorean. The above will help in assessing the value of your parts and provide evidence that the parts were installed in your car. In the movie world, Doc Brown could get coverage for his flux capacitor, but that is just the movie world. In our world, however, custom parts and equipment coverage can ensure that you have protection for your car’s customizations.